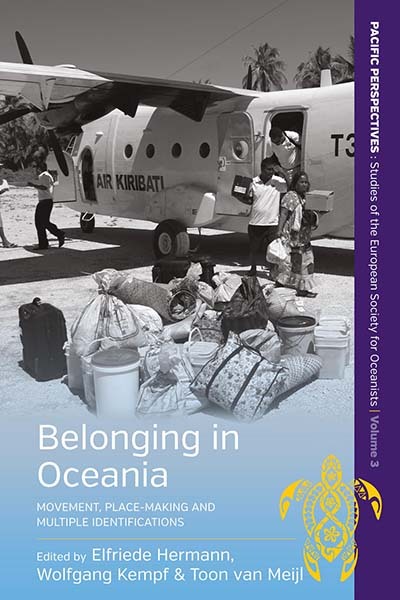 Elfriede Hermann is Professor at the Institute of Cultural and Social Anthropology at the University of Göttingen and has conducted research with the Ngaing of Papua New Guinea, the Banabans of Rabi Island (Fiji) and Banaba Island (Kiribati), and the inhabitants of Kiribati. Wolfgang Kempf has taught cultural anthropology at the Universities of Tübingen, Heidelberg and Göttingen and is currently a researcher at the Institute of Cultural and Social Anthropology at the University of Göttingen. He has conducted fieldwork among the Ngaing of Madang Province, Papua New Guinea, among the Banabans of Fiji, and in Kiribati. Toon van Meijl is Professor of Anthropology and Head of the Department of Anthropology and Development Studies at Radboud University Nijmegen in the Netherlands, and Director of the interdisciplinary Centre for Pacific and Asian Studies at Nijmegen. Since 1982 van Meijl has conducted 30 months of ethnographic fieldwork among the Tainui Māori in New Zealand.